We would like to inform you about news in the Borotin International Kindergarten. Regarding the garden, we have put up an enclosure there and built a shelter for sheep and hens. New fruit trees were implanted and we have been taking care of a couple of flowers, herb and seed beds. We would like to ask the whole collectivity for your kind attention and help also for the upcoming season. Those who have been to Borotin as kids, parents or yuvas know very well what Borotin means to our Sahaj family. We wish to increase the capacity of the accommodation in the Kindergarten, as we have used to receive many more applications compared to previous years and as a result of that many children had to stay on the waiting list. The Kindergarten's capacity is currently 35 children per term. By the grace of Shri Mataji, we shall continue working on the new part of the building, where there have been partly finished new bedrooms. The current investment is on the general reconstruction of the roof and the floor below it. We hope to be able to start off on August 1st, 2019 and finish by September before the Autumn term starts. Our estimated budget is 82,000 EUR. This amount has been already lowered by engaging our in-house engineering, by our own work in the actual roof renovation and by providing appropriate purchase of materials. We have collected 47,000 EUR for now, which have been donated by many collectivities - especially Chinese, Dutch and Finnish, as well as by many individual donators from around the world. In the Czech Republic, we have collected 19,000 EUR. Now we need to collect 35,000 EUR more. Any amount you could donate will be very helpful. We would also like to invite you to come to Borotin in August or September to help out with the works. We need both men and women as we might not be able to make it without your help. Soon, we will publish a link where you can register as we wish to arrange everything nicely. Please, share this letter via email, Facebook, Whatsapp or at your collective gatherings. We thank you in advance for your help and enlightened attention. Receive ten percent off the paperback price when you use the discount code "LULU10"
This offer expires March 14th and can be used on all Lulu books. As many of you know each summer volunteers gather in Daglio, near Cabella, to run wonderful camps for young Sahaja Yogis (8 to16yrs). Many children who don't have the opportunity to go to Sahaja schools get to experience collective life, learn about Sahaja Yoga and make new friends. We are looking for creative yogis who can spontaneously integrate teaching methods while developing a genuine sahaja teaching style. 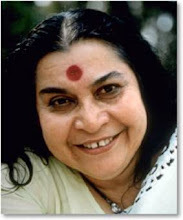 Using Shri Mataji's advice on education, the combined wisdom of other Sahaj teachers and best practices in the wider education community as well as his or her own inspiration, the ideal teacher works to grow and change along with the young realized souls. of children, of joy and sorrow. This offer expires Thursday January 24.